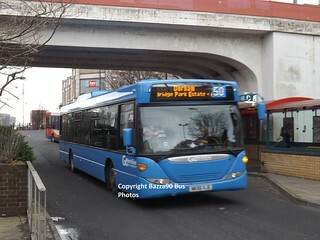 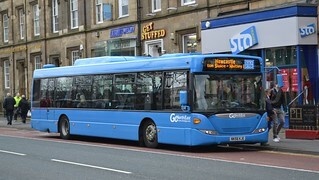 With route branding across the network being reviewed, services 5 and 50 (currently branded "Whey Aye Five 0") are the next routes to lose route branding. 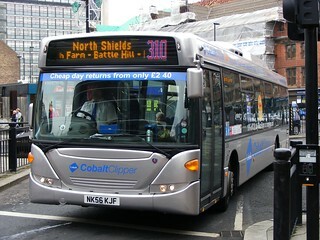 This three-quarter life repaint into Go North East's fleet livery reflects the interworking of service 50 with the 5, the fit in of these services in Go North East's network, and the age of the Scania OmniCity fleet. 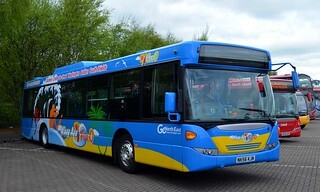 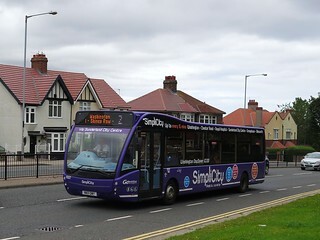 As such this vehicle has now been repainted into Go North East's corporate livery. 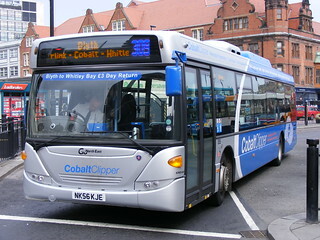 This example carries the tagline "Never miss your stop | Many of our buses have next stop screens and announcements". 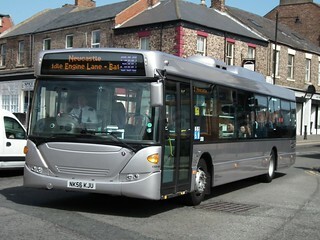 Prior to the service changes taking place on Sunday 17th April 2016, this vehicle has transferred from Chester-le-Street Depot to Washington, allowing a period of driver familiarisation on the Scania OmniCity vehicle type. 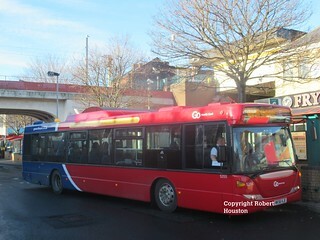 This vehicle has transferred from Washington Depot to Percy Main.